Bring home dinner tonight! One of the tastiest fish out there- Grouper can be found in all of the Florida’s salt waters. Many species of Grouper, like the Goliath Grouper can weigh up to 600 pounds! Grouper can be caught bottom fishing with live bait (fish, crab, lobster, and octopus). Typically Grouper swim around reefs, wrecks, potholes and most any structure that offers ambush possibilities. Grouper like to wait for their prey, not chase. They linger in protected areas waiting for a morsel to come by. Grouper eat their prey whole, sucking them in. iOutdoor Grouper Captains know how to pull these tasty fish out of their shelters, and have years of successful practice at it! Call iOutdoor today to book your Grouper fishing fantasy today! Call iOutdoor at 1-888-412-1117 to start executing your Grouper Fishing adventure now! 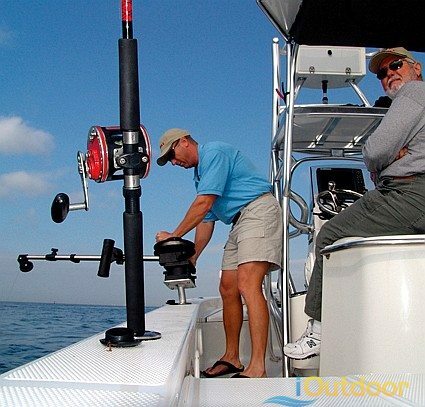 iOutdoor has selected the most knowledgeable, safe and seasoned Grouper Captains in Florida! You will be navigating the crystal blue waters of Florida in the most modern and well-equipped fishing boats on the market. All of your tackle, rods, and reels are top of the line and of the latest fishing technology. Our fleet exceeds the highest safety regulations and is serviced regularly. All of the iOutdoor Captains are US Coast Guard certified. 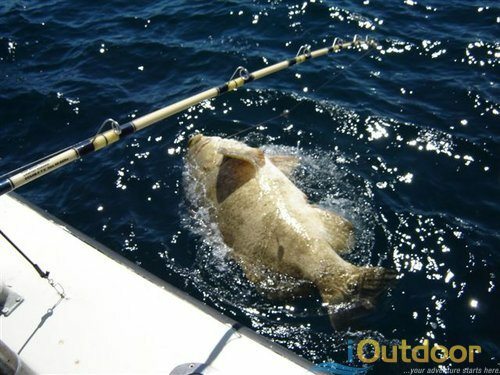 You will have a SAFE and comfortable Grouper fishing adventure in Florida! You will meet your captain at the marina, all safety instructions will be covered at that time. Make sure you have the proper clothing to remain comfortable for the entire fishing adventure. 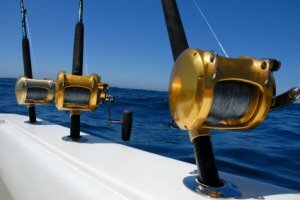 (Check out “What to Bring”) You’ll head out for a day of wonderful fun in the sun and productive fishing! Don’t forget to bring your Camera! Get your Grouper Fishing adventure started NOW! Simply fill out the form on this page or call 1-888-412-1117. iOutdoor will answer any questions you may have; including: where to stay if overnight is necessary, what fishing areas will yield the results you are looking for, appropriate boat size, etc. 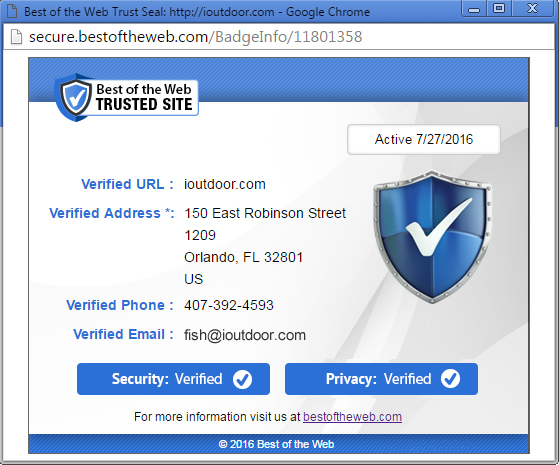 Whatever your needs may be, iOutdoor will make it happen! We caught the most beautiful grouper on our fishing trip in Destin. It was a blast! When spending hours in the outdoors, it is best to be prepared! Dress in layers, wear light-colored clothing- preferably long sleeved to protect from the sun. Bring Sunscreen- nothing ruins a trip faster than a bad sunburn! A wide-brimmed hat helps shield your face and keep you cool. Wear comfortable shoes with non-scuff soles (tennis shoes are perfect). Polarized sunglasses, light jacket, rain jacket, seasickness medicine are all things you may consider taking on your charter. Don’t forget to bring a camera or video recorder! You will also need to bring your own food and beverages. iOutdoor makes it easy for you- We have a wonderful catering service! Let us do the work, and have a full cooler waiting for you!